A few months ago at a book festival, I was sitting at the signing tables across a large, cavernous room from the stage. 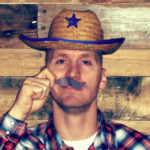 Even at this distance, in a jam-packed building known as The Barn, I had no trouble hearing the cascades of laughter coming from the reading area. Who was making these kids crack up? 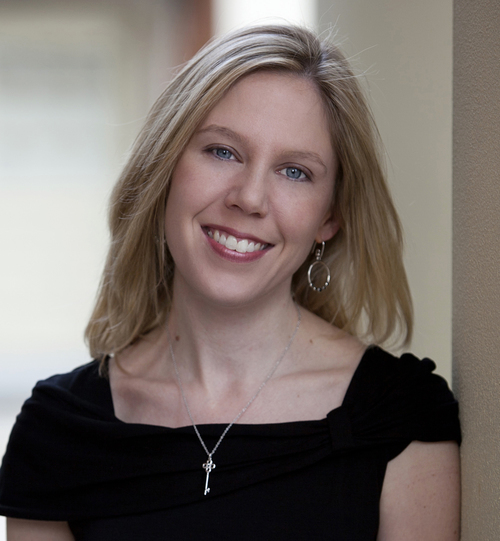 Kids’ book author (and fellow NC resident) Stacy McAnulty, right here. And what was she reading that was so dang funny? It was her new book about . . . Earth. Yep, our own planet. Not a subject normally associated with knee-slapping hilarity, right? But Earth! 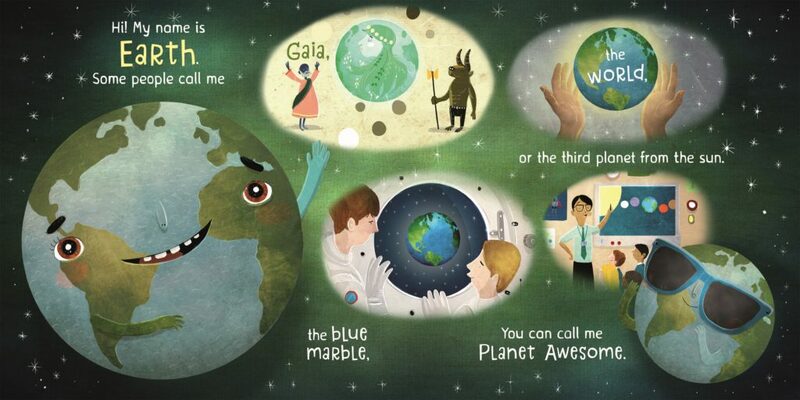 My First 4.54 Billion Years (illustrated by David Litchfield) serves up plenty of humor along with a healthy dose of planetary facts and natural science. Publishers Weekly called it “Terrifically entertaining” in a starred review. But I wanted to dig a little deeper, so I asked Stacy to stop by and answer a few questions. So read on, friends—and be sure to leave a comment below for a chance to win a copy of the book. Let’s start with the backstory. What prompted this idea? I didn’t set out to write a nonfiction picture book. Earth evolved from a story about a pet rock. The rock was a pet to a boy during the stone ages, and then a pet to a girl in the bronze age, and then a pet to another kid during medieval times, etc. I shared the manuscript with my author friends, and they did not love it. But I couldn’t let the story go. It took a few weeks for me to realize what I really wanted to write about. TIME! Or, more specifically, how long Earth has been around and how earthlings are pretty new to this awesome planet. Rocks have been around much longer. Earth is a BIG topic! How did you determine what to put in and what to leave out? The full title is Earth! My First 4.54 Billion Years, and I imagined my character Earth as a 4.54-year-old kid. How would a 4.5-year-old explain her existence and accomplishments? She’d be proud, knowledgeable, and matter-of-fact. As the author, I tried to sneak a lot of additional facts into the endnotes. I loved learning about mass extinctions. We put a wee bit about them under the heading “Life”. Only about half of what I wanted to include in the endnotes actually made it to publication. Anything particularly challenging about writing this story? 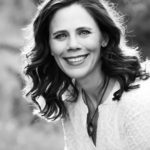 In addition to your many picture books, you’re the author of two chapter book series, plus your first novel (The Miscalculations of Lightning Girl) coming out in May. Do you have a favorite genre? I like to jump from project to project. Sometimes in the same day. Sometimes in the same hour! If I get stuck on something, I can shift gears and continue working. I don’t have a favorite genre. I hope to keep producing in all these areas, and I’d like to write YA too. I can’t imagine myself creating a book for adults. Maybe when I first started, but not anymore. That’s where I draw the line. You were a mechanical engineer for many years. Were you writing on the side all that time? I designed airline seats for about 8 years and also worked in IT for a GM facility before that. When I finished college, I thought: Oh good, I don’t have Vibration-and-Shock homework. That means I have time to write. (Yes, I took a senior-level class called Vibration and Shock.) That was the beginning of my hobby. I tried short stories, sci-fi novels, essays, everything. Then, years later, when my daughter was born, I discovered kids’ books and fell in love. You write lots of funny books. Any tips on writing with humor? Thanks so much for visiting, Stacy. And to all other Earthlings, here’s your chance to win a copy of the book! 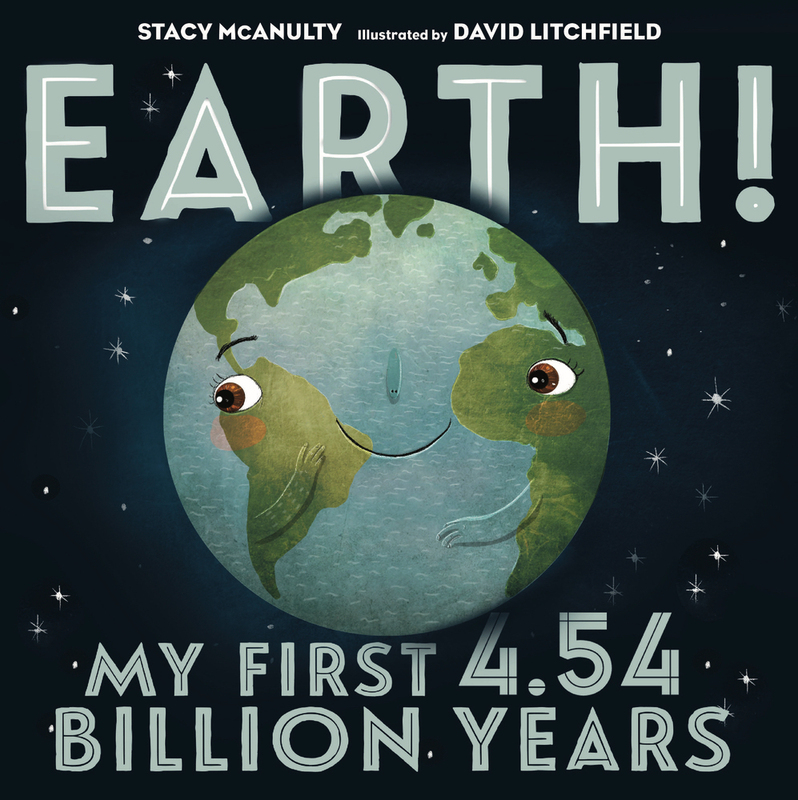 To win a copy of Earth: My First 4.54 Billion Years, leave a comment below by April 25th. I’ll announce the winner in my next post. And, finally, congratulations to Heather Pierce Stigall, the winner of Caroline Stutson’s Blue Corn Soup giveaway! Thanks for reading, everyone! 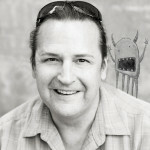 david litchfield, Earth! 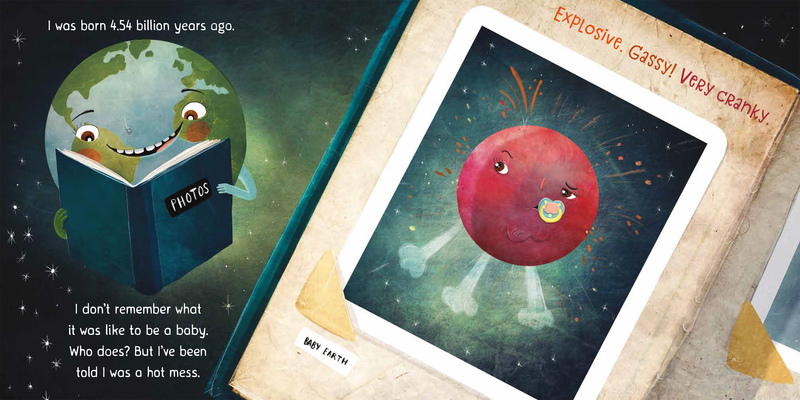 My First 4.54 Billion Years, Linda Ashman, Non fiction picture book, Stacy McAnulty. Bookmark. I can’t wait to see/read this book! And it’s inspiring to hear about how Stacy’s belief in her story helped her move through the “not really” phase and the “so that’s what I’m trying to say” phase to the awesome book it is now. It’s funny the path a story must take. You can’t predict the route. I think this book is brilliant. So clever and funny! Thanks for the interview, Jill and Stacy! This sounds like a great read aloud! Thanks for sharing! Love all the facts in this book and what a fun way to present them! Thanks for this great interview, earthlings! Thanks for sharing your story’s evolution. Can’t wait to read it! I LOVE this book! I can see why kids laugh out loud. This book looks so wonderful! Can hardly wait to get my hands on a copy! Thank you for the interview! You’ll enjoy it, Cindy! Thanks for reading! Ten punchlines for every joke…MIND. BLOWN. What a great way to find just the right one! Not easy (and I don’t always do it). But that tip has stuck with me for years! I really admire the way you incorporate humor. Gotta get me more of that. I love reading about the stages of creation a writer goes through before landing on the best one. As a lifelong resident of planet Earth, I eagerly look forward to reading this book and sharing it with the young earthlings in my life. Yes, I love reading about that too. It’s rarely a simple process! Thanks for reading, Kathy! Thank you for sharing your process. This earth book sounds perfect for my grand-nephew. It makes a great gift for sure. Thanks for reading, Kathleen! I love nonfiction and love to write about science topics myself. This book looks so kid-friendly and fun and space is one of my favorite topics. Hi, Danielle! This is a great example to look at for some non-fiction inspiration. I can’t think of any sweeter sound than that of young children laughing. Love your sense of humor, Stacy! Great interview. Yes, it’s a magical sound, isn’t it? Thanks for reading, C.L.! This is a fun book! I love how it is told from Earth’s perspective. It is my favorite Stacy McAnulty book! We do love our back matter around here, don’t we? Thanks, Terri! Congratulations Stacy! What a fantastically fun idea. I look forward to reading it. It IS fun. Bet you’ll enjoy it, Mary! Thanks for sharing, Stacy! I love how this story was about a pet rock and evolved from there. Isn’t that a great story? I love that too. Thanks, Manju! I’ve seen this book and it is great! Giving voice to the earth was such a unique and interesting premise! Yes, it really makes it fun. Thanks for reading, Beth! 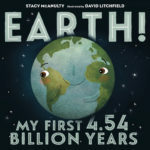 Congratulations, Stacy, on teaching about Earth with humor AND getting a starred review! Congratulations, Stacy! I love that your author’s note addresses alien visitors. Thanks for spotlighting this new book. Yes, isn’t that fun? Thanks, Wendy! This is such a genius idea. That baby pic spread is hilarious! Huge fan of your work. Keep em’ coming, Stacy! Yes, I love that baby pic spread. Thanks for reading, Lori! Well, this looks fascinating and fun! Gonna check it out. It is, Kevan! I think you’ll like it. My granddaughter (age 7) is going to LOVE this! Earth as part of the solar system & space, plus tooting humor? Winner! Yes, the perfect kid-friendly combination! Thanks, Ruth! Stacy is a brilliant writer. I love how fun she makes learning. I had the privilege to illustrate a chapter book series she did (and learned a lot in the process!). This one’s been on my “list” to check out for a while. Thanks for the reminder, Linda! The Dino Files! I hadn’t realized that, Mike. I haven’t read them, but now I’ve got a double incentive to check them out. Thank you for sharing this with us. What a fun book and what a fun way to learn! Thank you, Linda and Stacy, for sharing this truly original book! Right now I am ordering it for our local library. Can’t wait to see this fun-tastic book! Yay! I know you’ll enjoy it, Anne (and the kids at the library will too)! Great concept, great voice! Thanks for the post!! Loved this interview – thanks!! I especially love the fun voice in a non-fiction! Yes, the voice really keeps things lively. Thanks, Michelle! This looks wonderful! Can’t wait to read it. It is! I bet you’ll enjoy it, Debbie! This is a new favorite NF of mine. Such a clever take. Hi, David! Yes, it really is cleverly done. I love the way you impart NF information in such a fun and interesting way. Congratulations on the success of your book! Yes, it really is fun and interesting. Thanks for reading, Judy! Your tip to write ten punch lines for every joke is excellent, Stacy. Thank you. My students and I enjoyed reading EARTH: MY FIRST 4,54 BILLION YEARS. We learned to facts about the earth and chuckled, too. I loved hearing how your MC grew from a rock into a planet. Congratulations, what a fun read! Sharing with my young earthlings and their teachers. Isn’t that a great story? I loved that part too. Thanks for reading, Lisa! Looks like a wonderful book! Can’t wait to read it out to my 5 year old! It is! Thanks for reading, Hlmani! It is, Julie! Check it out! Such a creative book! Thanks for sharing! It really is, Kathy. Thanks for reading! I bought this for my nephews at Christmas…love it! Looks like a great book, looking forward to reading it! Bet you’ll enjoy it, Charlotte! Perfect timing! I loved this book! Childlike voice with just a tad of snark. Informative yet entertaining. I just this morning recommended it to my nonfiction writers Facebook group, NF 4 NF No fiction Children’s Writers. I can’t wait to share it with my students tomorrow. I love that you are keeping kids laughing and learning at the same time. Yes, the best way to learn, isn’t it? Thanks, Gail! I loved Earth’s voice. Funny and informative=WIN. Congratulations! Yes, an excellent combination. Thanks, Mary! This book looks wonderful – I love the story idea, I love your story – write on! It is! Thanks for reading, Monika! I loved the narrative voice in this book. Sadly, I had to return my copy to the library, but I’m sure other library patrons are now giggling over it too. Glad to hear you’ve already read it, Annette! So true, Lindsay. Glad to hear your little one enjoyed it! Leaving aside the number gap between the science-based figure of 4.54 billion years and the age attributed by Jewish tradition (5778 years) — a story in itself– this appears to be a very ambitious project. As I am also working on an ambitious non-fiction project that needs to be distilled into accessible PB form, I look forward to reading and learning. Thanks for reading, Mitchell, and good luck with your project! LOVE this book! So fun and funny and informative. Thanks for taking the time to share your process and how it came to be! I think this would be a great read aloud for the 3rd graders I work with. They’ve been reading books about the sun, space travel, and your “Earth” book would be a great companion! They would enjoy the humor too! Sounds funny and educational! Congratulations! I cannot wait to read this. I’ve finally started reading history and loving it. This looks fun. What a fantastic idea. I love how she writes from the Earths point of view. What a perfect picture book to use for writing prompts. Thank you for sharing a great interview. My mailbox had a surprise for me today. 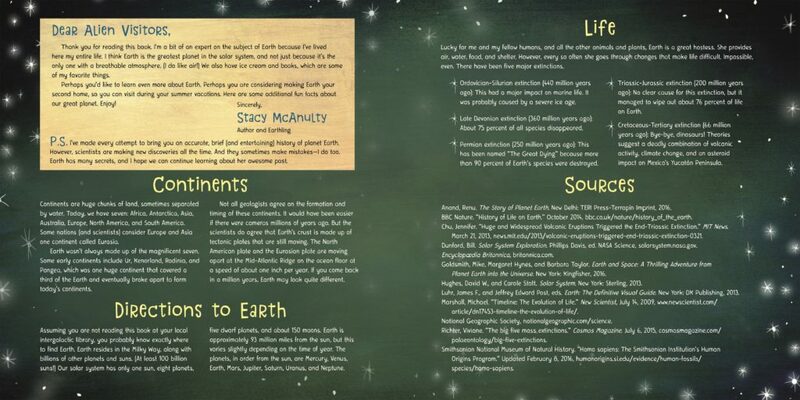 Thank you so much Jill, Linda, and Stacy for my own copy of Earth! just in time for my birthday.